‘Silent scatter brain’ would be an understatement of a description of me. I have always come across quite a relaxed, laid back sort of person but there is a ridiculous amount of silent thinking, considerations and ideas constantly spinning frantically inside my head. Whenever it comes to actually communicating any of these thoughts they just come out as jumbled and scatter as they are flying around my head. They make perfect sense to me but seem utter random, impossibly connected half sentences to anyone nearby. I can be organised. I have the ability to be organised. Artistically, not at all. Organisation has no place within my artistic world. ‘Artistic organisation’ is tosh, not possible. I do not believe Art comes out of order. 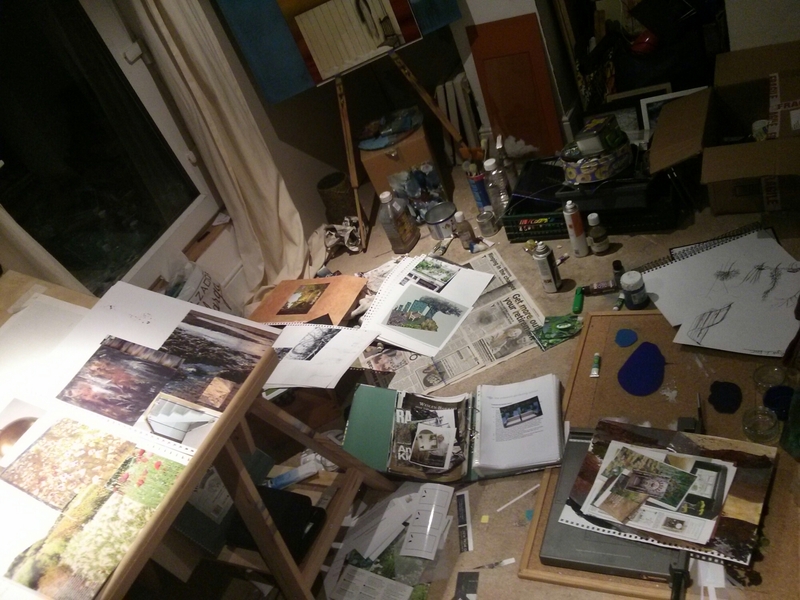 Yes, there is an Art in order, ‘Organisation Artistically’, yes. However artistic thinking is not ordered, it does not come from order. Artistic thinking is sporadic. “Tidy house, Tidy mind”. How boring. I don’t think I could bear life if my mind ever became tidy. Here we are, 7 weeks…8 weeks…9…a number of weeks into the course with just over 2 weeks now until Project 1 comes to an end! I have learnt so much in such a short period. It has not been smooth sailing to say the least. Then again it oh so rarely is with my cloudy mind of doubts and panics. 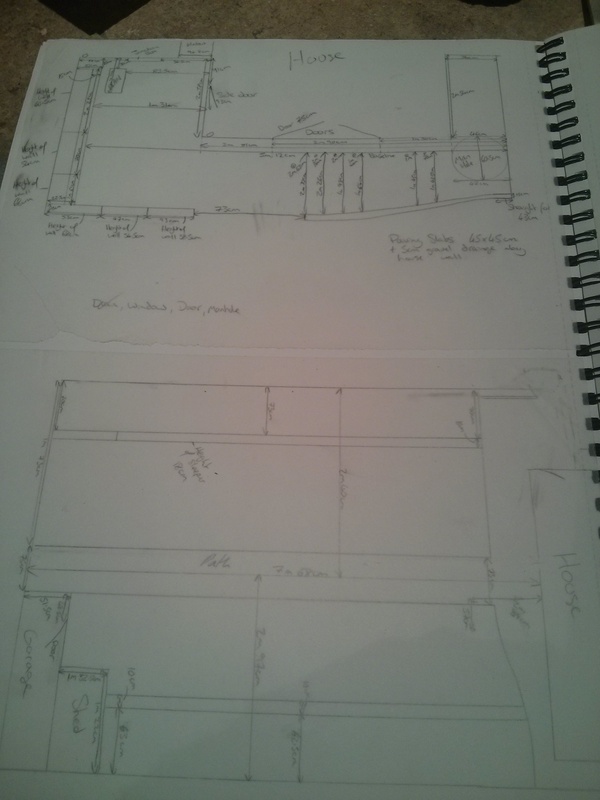 Project 1 is a typical rectangular(ish) terrace house back garden. The client, who loves her roses and wildlife, felt the garden was too straight. 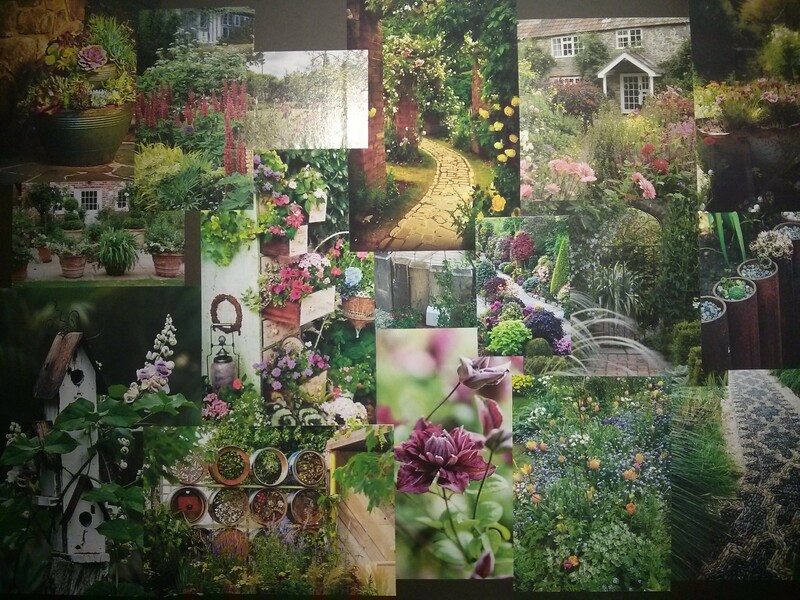 After the site visit and reading through the clients brief I put together a mood board. 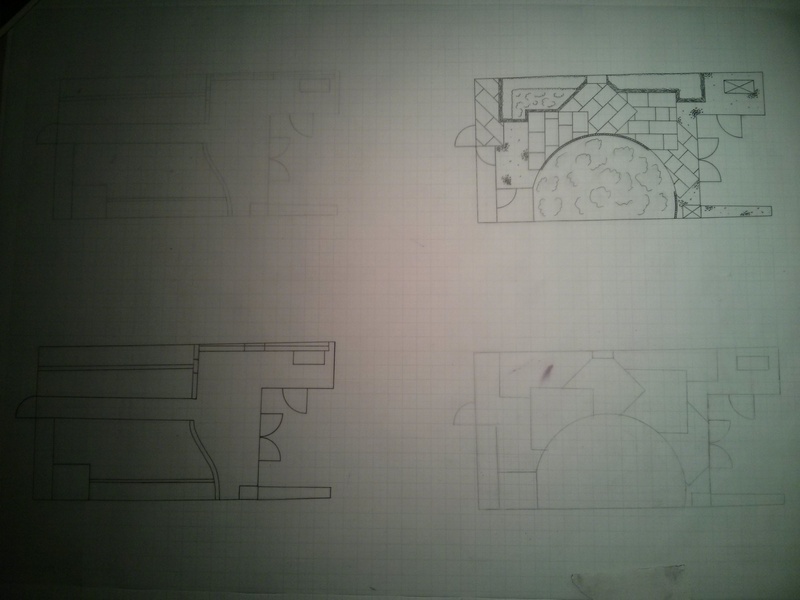 The next stage, after creating a scale drawing of the garden, was to create a design. After throwing many shapes around the space and not making life easy for myself, I managed to come up with something I am really please with. The next step is now the most crucial to get right of all. The planting scheme! Teaching hasn’t quite taken us that far yet but I’ve ideas bouncing around and I hope to whizz up a couple of watercolour designs in the next day or so. RHS Spring Festival, Festival Gardens Application. Of course juggling two jobs and my diploma work while volunteering on my days off just isn’t, apparently, enough work for me! 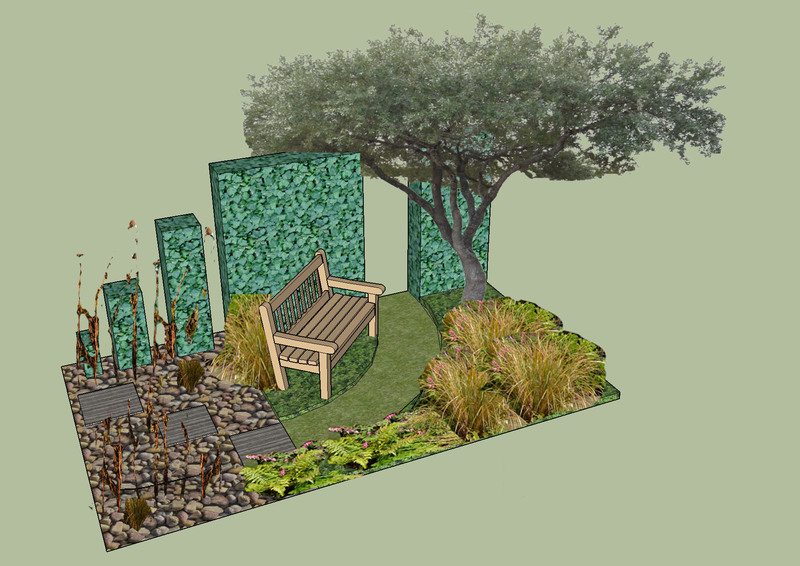 A few weeks ago I decided to submit a design for the RHS Spring Festival Festival Gardens 2015 category. The RHS “kindly” gave a three week deadline, so my skates were on along with the pressure. Fortunately the garden centre I work for is apart of The Garden Centre Group (rebranding as Wyevale Garden Centres) whose chosen partnership charity for the next two years is the Marie Curie Cancer Care……and I had been pondering how I could possibly get involved in fundraising. *Lightbulb*. Marie Curie Cancer Care helps terminally ill people who are approaching the end of their lives to die in the place of their choice. I know I wouldn’t even know where to begin to find the words to help someone. The work they do is incredible and to have the opportunity to raise money to aid them would be amazing. The concept of the garden is to convey the initial impact to a persons life who finds out they are terminally ill and their battle through treatment and acceptance to the point where Marie Curie step in to get that person home, wherever their heart may lie. For the main part, the garden represents a safe tranquil place for an individual and their Marie Curie nurse to sit in calm and relax before planning a way home. 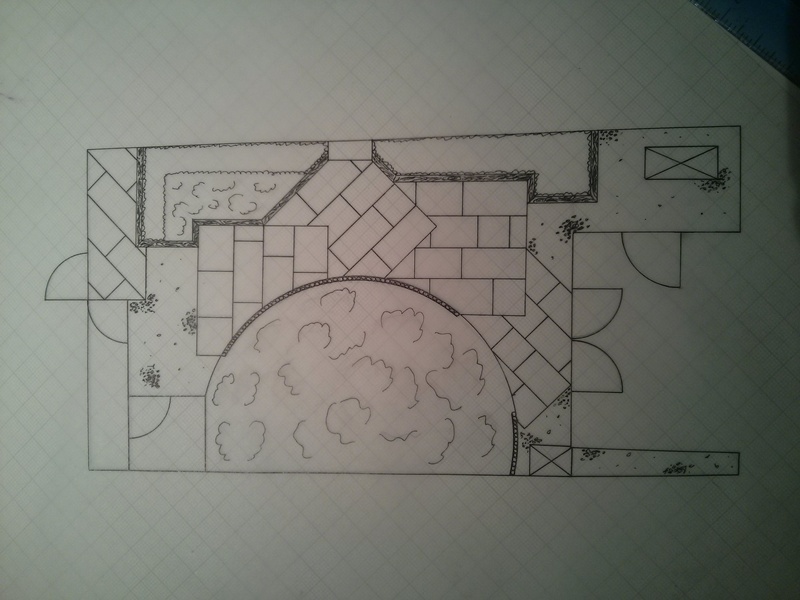 Approximately a third of the garden will be indicative of a barren landscape of rubble with smashed paving slabs representing the ground beneath a person feet falling away. As one progresses through the garden the rubble fades quickly away into a tranquil wild flower meadow with a swooping grass path that runs past a welcoming weathered bench for two under the canopy of a tree. At the start of the path a daffodil stands to represent a Marie Curie Nurse. I plan the daffodil to be a subtle yellow Origami Sculpture. This side of the garden is a safe place to reflect, talk and while the hours away watching the flowers wave in the breeze and the wildlife go about its business before planning a way home. Full of wild grasses and Oxeye daisies, wild strawberries, corn flowers and poppies which bob about in the breeze attracting bees. I am considering the idea of hanging donated photographs of loved ones lost from the branches of the tree…..should I be selected. The Malvern Autumn Show & Cheltenham Literature Festival Show Garden. The past 2 weeks I have given up my single day off a week to help out with the Feature Show Garden designed by my mentor Caroline Tatham, Principle of The Cotswold Gardening School, for The Malvern Autumn Show and Cheltenham Literature Festival. 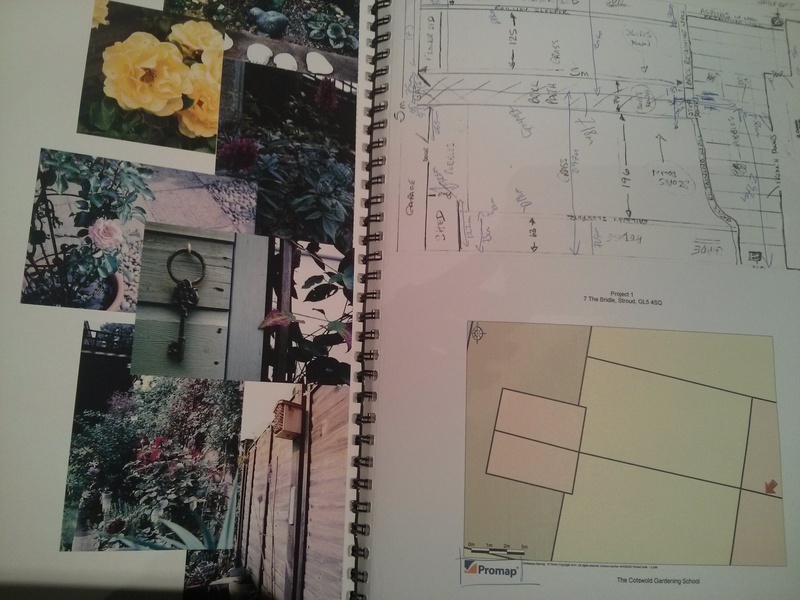 I have only very minorly been able to get involved but it is always an invaluable insight into the life of a show garden, particularly as I plan on submitting my first design to the RHS Malvern Spring Festival: Festival Gardens 2015 category. The garden dismantled in Malvern. Unfortunately I wasn’t able to make the Autumn Show to see the garden in it’s prime with celebrity gardeners presenting on it. The garden being loaded into the lorry at Malvern. The lorry arriving in imperial square in Cheltenham. The plants safely stacked on danish trolleys hiding at the front of the lorry. All the plants unloaded and more or less ordered in varieties. The jigsaw puzzle ready to be reassembled. We were very lucky with the weather on transportation day. Unfortunately the weather has turned this week. Unnervingly this was a tree down the street from the garden which I had walked under a few hours before it gave way. Despite the weather the garden was just about standing strong. Quite frankly she scares me.